Search your home for nooks suitable for a homework corner. When space is tight in a child’s bedroom, a stairway landing or the end of a hallway can be ideal as long as there is room for a desk and chair. Attach a fold-down table to a wall. Another great solution for a small home is an inexpensive fold-down table. Organize supplies in baskets or a wheeled cart and buy a folding chair or stool from a flea market or garage sale. When the study center isn’t being used, everything can be stored out of sight in a nearby closet. Transform a closet. Do you have a closet with contents that could be shifted elsewhere? Removing the door, clothes rod and shelf to make room for a countertop, a few wall shelves, task lighting and a chair will turn it into a convenient study space. Look for space-saving computer furniture. Some computer cabinets feature sliding doors and shelves that allow you to fold everything behind closed doors when not in use. They work well in the corner of a guest room, kitchen or family room. Consider a bedroom makeover. Rearrange the furniture in your child’s room to make space for a study area. Loft beds are ideal since they have storage drawers built in, plus they offer open space beneath the bed perfect for a desk, chair and bookcase. Use shelves and storage containers to contain clutter. After you’ve created the homework area make sure it is well equipped with supplies. Have your children make a list of the items they use most often. Organize pencils, pens, crayons, rulers, etc., in handy bins that are easily accessible. Be sure to include a bookshelf for dictionaries and other reference books. Devise a simple way to stay organized. A calendar and dry-erase board will help your child keep track of homework assignments and due dates. If more than one child will be using the space use color-coded folders, bins and binders to keep projects separated. Involve your children in decorating. If you let the kids pick out wall art and choose accessories for their homework area it will make the space seem more personal and inviting. Reduce noise and distractions. Locating the homework center away from the TV and family traffic will allow your child to concentrate better. With some basic handyman skills, you can create a homework space for your child that will help him get down to it. Added benefit? You'll also be able to find the table at dinnertime! If your child is like most, doing homework can be a chore. Not only do they fall off the wagon after being in school all day long, doing homework is also the last thought on their minds. Most children and teens especially develop bad homework and study habits, from listening to music to texting while doing homework. The best thing you can do as a parent is set them up early on for success. Having a work space especially for homework is a great way to get the homework done, quickly and efficiently. The first step is, of course, to pick your space. It is important to note your child’s learning style. For some, being in the center of the action is the best place for them to do their work. Some children learn better and do homework faster while being in the middle of a little bit of activity. In contrast, if your child needs lots of quiet and to be away from the center of activity, then creating a work space in the family room or den may not be optimal for that particular child. 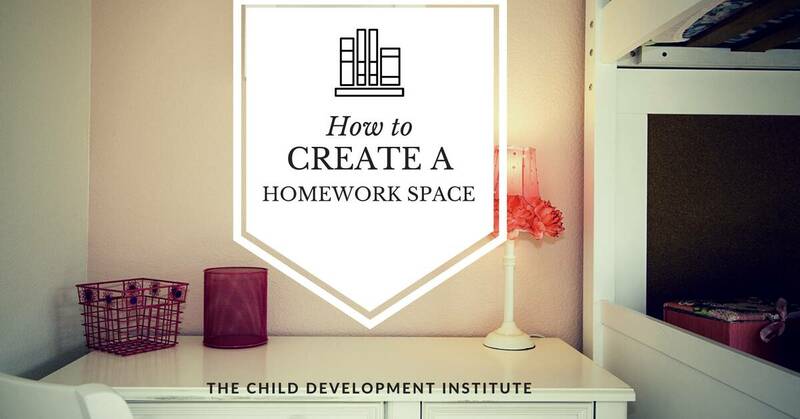 You can set up your homework space in a bedroom, den, family room, or even in the basement. Whatever you do, match your child up with his or her learning style and pick the space that is best for him or her. Once you have chosen the area for the homework space, make sure to incorporate some fun elements into it as well. If the desk is facing a wall, then put up colorful posters or positive images that your child chooses. Studies show that having positive images creates a positive mindset. Examples of this are images of nature or beautiful scenery, as well as your child’s favorite movie character or hero. Incorporate some color into the mix too. Don’t make your child’s work space bland and boring. Add some vibrant colors to stimulate the mind. Studies also show that certain colors impact the brain in different ways. Some colors are soothing while others are stimulating. After picking your space and your colors, make sure you have enough tools on hand for organizational purposes. Being organized is one of the most important keys to successful studying and doing homework. If you give your child the tools to be organized early on, chances are that it will be a habit they continue on with later in life. Get your child’s input in the project instead of just doing it yourself. Let them pick some colors, posters, tools, and materials and have some say in where they want their homework space to go. In this manner, they will feel more inclined to do their homework and study. So, there you have it! A few creative ways to get that work space ready before back-to-school time hits once again.